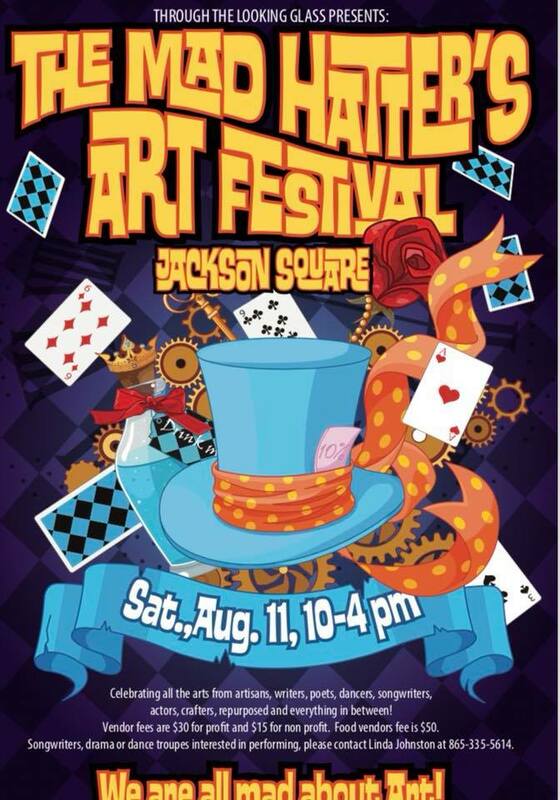 Through the Looking Glass Antiques would like to invite you to “The Mad Hatter’s Art Festival “ on Saturday, August 11 from 10-4 pm. We are all mad about art in the Square! So surround yourself in art, be the art, and support the arts! Vendors will be set up in the square providing the public with an opportunity to purchase artwork,crafts,repurposed items, meet authors or view the artists in action. There will be a wonderland of interactive art stations and kids activities. Grab a friend and come dressed as your favorite masterpiece or artist. Design your own Mad Hatter’s hat and wear it around the Square. Watch and listen as poets, songwriters, dance and drama troupes perform!